When you scan documents, it often occurs that scanned copies contain blank pages. 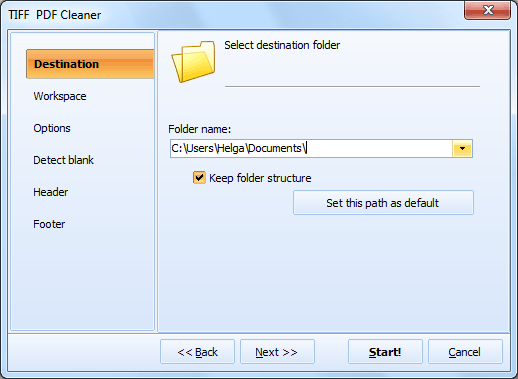 If you store scanned files in TIFF and want to get rid of the blank pages, you should use Tiff Pdf Cleanter utility. This program removes empty pages from PDF and TIFF scans automatically, so you do not need special editors to fix this manually. All these features together with ability to clean blank pages will maximally optimize your TIFF scans for further use. 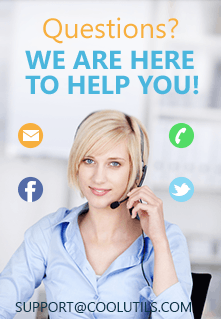 It is much more comfortable to print, view or edit clear TIFF documents, without blank pages. If you want to store them compactly or need to compress them for sharing online (TIFF originals are big in size), use one of the offered compression modes. If you need to delete blank pages for cleaning TIFF documents from unneeded sheets, you can set specific tolerance for detecting pages. 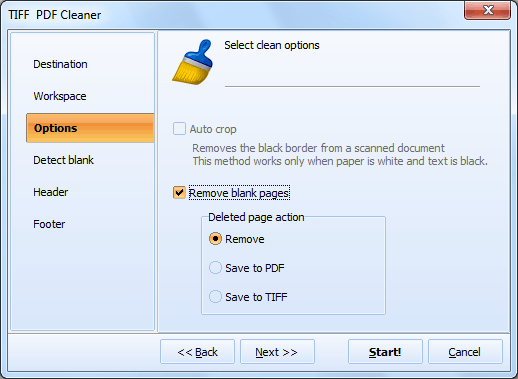 It is useful option when you have not ideally white scanned sheets, and TiffPDFCleaner need to ignore some pixel noise on pages, not considering them as empty. The program also offers automatic blank page remover. If you are not sure in the result, you can set the program to save the pages it found blank to separate file. In this case you will be able to review the pages deleted from TIFF originals. 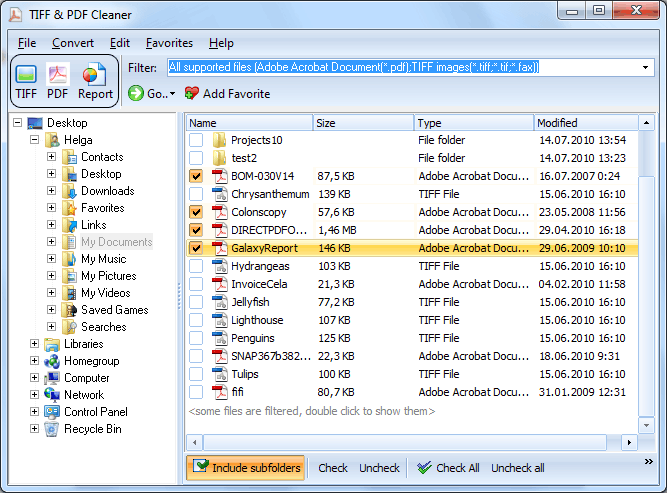 TiffPdf Cleaner is a magic wand for cleaning your PDF files. You can test it for free!